Thursday, July 22 — After 37 days underway, the Healy steamed into port in Seward, Alaska, on Wednesday morning. The science party disembarks this afternoon to catch flights from Anchorage and go their separate ways. 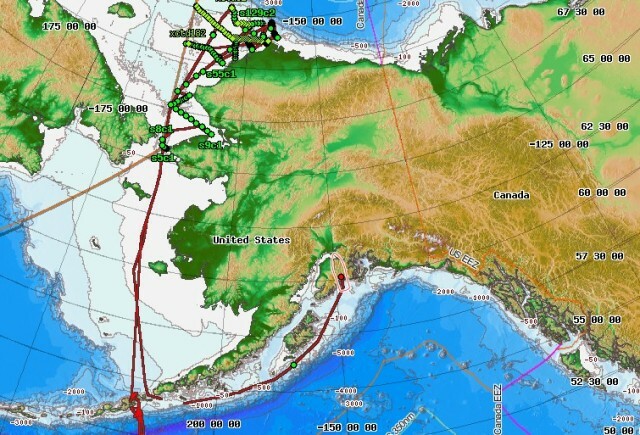 The map belows shows the track of the Healy (red line) since we left Dutch Harbor, Alaska, last month. More news and photographs will come in the following days!